Craftster Community > ORGANIZED CRAFT SWAPS > The Swap Gallery (Moderators: rackycoo, loves2experiment, alteredmommy, SevsOnlyGirl, cackle) > The Amazing Hoodie Swap Gallery!!! 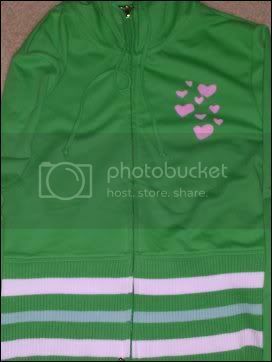 Re: The Amazing Hoodie Swap Gallery!!! There! I finally remembered to take & post pictures of the wonderful hoodie Aschenbly sent me!! My horrible attempt at taking a full length picture in the mirror. 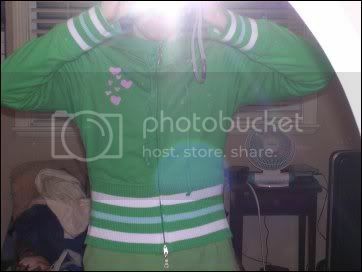 The hoodie is slightly short, and bright green! (yeah!) It's awesome, eye catching!! The wonderfulrific hot air balloon stencil on the back! It's awwesomme!! Those are both so cute! 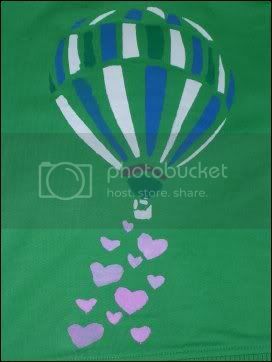 I love the idea of the heart-sprinkling hot air balloon, and the embroidery on that heart is awesome! aschneb just gets better and better at crafting! and nikkisixx666, i loooove it! i *heart* it too! You look so cute in it kittykurl! I am so glad you like it! Oh, I got mine today from my swap angel BambiKhantastic, and it's amazing!!! Oooh, I love it! It's really comfortable and I love love love the picture!! Thanks so much! 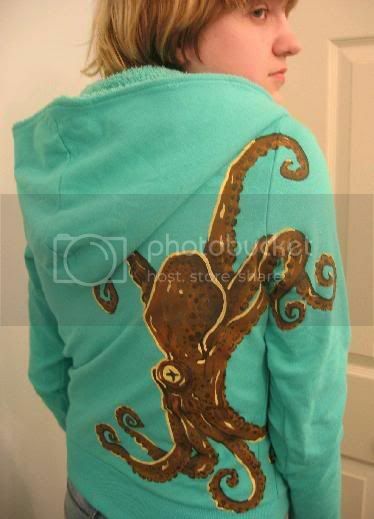 WOW, now that really is an amazing hoodie!!! That hoodie is fantastic! What an awesome job!! Oh my gosh Meep! That is an awesome hoodie and it looks great on you, too! BambiKhantastic I may have to start stalking you!!!! i definatly need to stalk bambikhantastic!!! woowoo! that is an awesome hoodie! i wear mine everywhere, and i get SOO many compliments on it...people don't think its handpainted! bambikhan couture.... I'm liking the sounds of this!